Another of our Sun’s closest neighbours has been found to be home to a “super-Earth” scale planet. Barnard’s Star, named after American astronomer Edward Emerson Barnard, is a low-mass M-class red dwarf star. As I’ve noted in previous discussions of exoplanets, red dwarf stars are the most common type of star in our galaxy, believed to account for around 70% of all stars. They can be quite volatile in nature and prone stellar flares, meaning any planets in close proximity to them are unlikely to be very habitable. But Barnard’s Star is somewhat unusual; while it is estimated to be between two and three times older than the Sun, it has a relatively low level of activity. It also has the fastest radial (side-to-side) motion of any visible star in the night sky – something that might indicate the presence of a large planet orbiting it, causing it to wobble in its spin. Over the years, astronomer have attempted to use the star’s radial motion to try to establish if it is the result of a planet, and in 2015, instruments used by the European Southern Observatory and the Keck Observatory suggested there could be a very large planet with an orbital period of about 230 days. More recently, the Red Dots and CARMENES campaigns, which were responsible for the discovery of a planet orbiting our nearest stellar neighbour, Proxima B (see here for more), reviewed the data gathered from multiple sources that have studied Barnard’s Star in an attempt to ascertain whether there is one or more planets orbiting Barnard’s Star. For the analysis we used observations from seven different instruments, spanning 20 years, making this one of the largest and most extensive datasets ever used for precise radial velocity studies. The combination of all data led to a total of 771 measurements. The results of this work appear to confirm that there is a planet – referred to as Barnard’s Star b – is orbiting the star roughly one every 233 terrestrial days. It has a mass of at least 3.2 times that of Earth, putting it if the category of either a “super-Earth” or a “mini-Neptune”. It is some 0.4 AU (0.4 times the distance between the Earth and the Sun) from its parent. This is the first time an exoplanet has been discovered using the radial velocity method. The most common method of detection is the transit method, monitoring the period dimming of a star’s brightness as seen from Earth to determine whether a planet might be orbiting it, but such is Barnard’s Star’s dimness, this has never really been and option. Further observations are required to completely confirm the planet’s presence, but those involved in the study – including ESO – have a high degree of confidence it will be confirmed, and observations by a number of observatories around the globe are already underway. After a very careful analysis, we are over 99 per cent confident that the planet is there, since this is the model that best fits our observations. However, we must remain cautious and collect more data to nail the case in the future … we’ll continue to observe this fast-moving star to exclude possible, but improbable, natural variations of the stellar brightness which could masquerade as a planet. 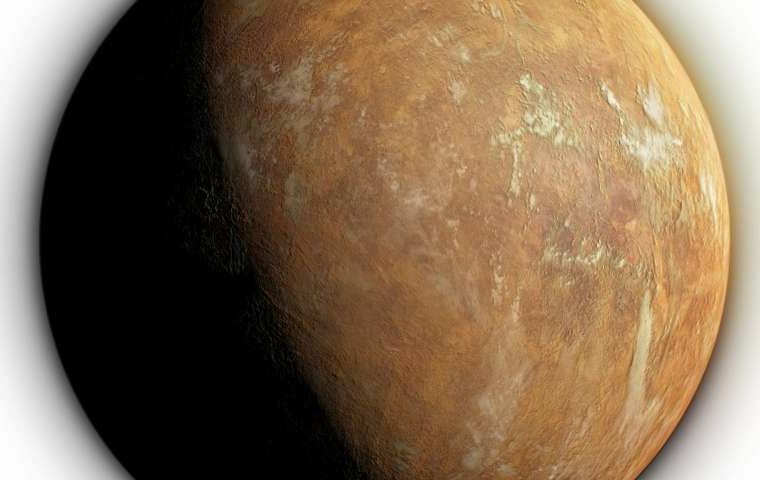 Such is the proximity of Barnard’s Star to Earth, the new planet is potentially an excellent candidate for direct imaging using the next-generation instruments both on the ground and in space – such as with NASA’s James Webb Space Telescope (JWST), scheduled for launch in 2021) or Wide Field InfraRed Survey Telescope (WFIRST), which if not threatened with further cancellation, should be launched in the mid-2020s, and the European Space Agency’s Gaia mission. In my previous Space Sunday article, I wrote about our interstellar visitor, ‘Oumuamua (officially 1I/2017 U1), which was observed passing around the Sun a year ago, and the (unlikely) potential it is some form of extra-terrestrial probe. On November 14th, 2018, NASA issued an update on the most recent findings from data obtained on the cigar-shaped object by the Spitzer infra-red telescope. The new report, released via NASA’s Jet Propulsion Laboratory, indicates ‘Oumuamua is off-gassing volatiles, something those proposing the alien probe idea thought to be unlikely. This off-gassing likely imparted the odd tumbling motion exhibited by ‘Oumuamua . Spitzer’s observations also confirmed that the object is highly reflective – around 10 times more reflective than the comets that reside in our solar system—a surprising result, according to the paper’s authors. Comets orbiting the Sun spend a good deal of their time gathering dust suspended in the interplanetary medium, covering them in a layer of “dirt”. As they approach the Sun, they undergo heating, causing volatiles – often frozen water – to start venting, “cleaning” parts of the comet’s surface and raising its reflectivity. 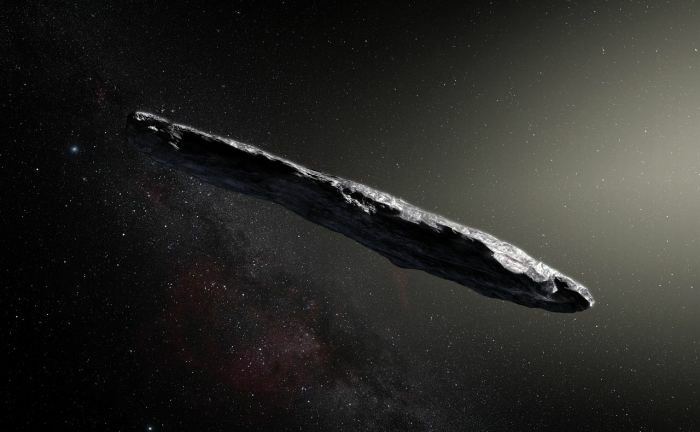 As ‘Oumuamua, has been in the depths of interstellar space for millennia and far from any star system that could contain enough dust and material to refresh its surface, it is possible that the off-gassing confirmed by Spitzer exposed far more of its underlying ice. This, coupled with some of the icy volatiles it vented falling back onto its surface (again as can happen with solar system comets) may have resulted in the object’s higher than expected albedo. Taken with other observations of ‘Oumuamua, the Spitzer data tends to further discount the idea that it is of artificial origin. I’m quite opposed to the Gateway. 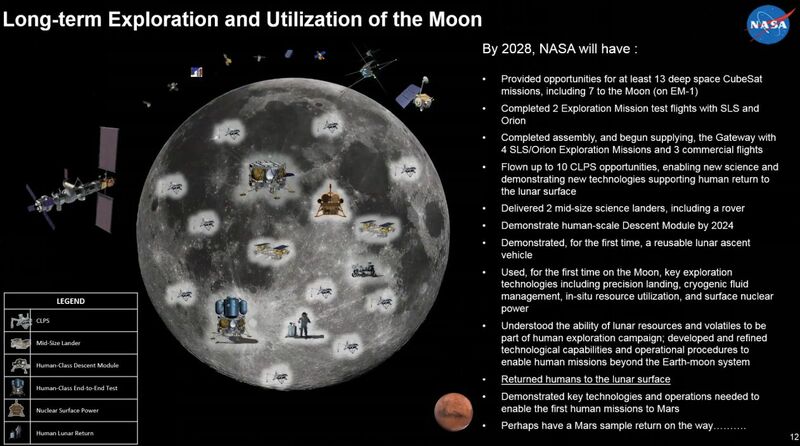 Using the Gateway as a staging area for robotic or human missions to the lunar surface is absurd. Why would you want to send a crew to an intermediate point in space, pick up a lander there and go down? These harsh words were levelled at NASA’s plans to return humans to the Moon on November 15th, 2018 at a meeting of the National Space Council’s Users’ Advisory Group at NASA Headquarters in Washington DC, convened to review the agency’s plans. In offering this view, Aldrin went on to state that rather than focusing on building such a complex infrastructure for Lunar operations, NASA should be aiming for a more direct means of achieving a human presence on the Moon, such as that advocated by aerospace engineer and lunar and Mars mission expert Dr. Robert Zubrin (read here for more). Nor was he alone in his criticising NASA’s plans. Former space shuttle commander Eileen Collins said, “Personally, I think 2028 for humans on the moon, that’s 10 years from now. It just seems like it’s so far off. We can do it sooner.” Another former Apollo astronaut, Harrison Schmitt pointed to the fact that in the 1960s, NASA was able to complete Apollo with a Saturn V launch rate of approximately every two months – but the current plans would see one SLS launch every two years. Nor did the plan gain much support outside of the meeting. The architecture that has been put in play, putting a Gateway before boots on the moon, is, from a space system engineer’s point — which is the only thing in life I was ever good at —a stupid architecture. While speaking on a personal basis, rather than as Under-Secretary of Defence for Research and Engineering, Griffin went on to note that something like the Gateway would only have value after a permanent presence on the Moon had been achieved and once exploitation of lunar resources had commenced. Whether the feedback from the Group members and people like Griffin impact NASA’s thinking remains to be seen. The first full flight of NASA’s Orion Multi-Purpose Crew Vehicle came a step closer with the delivery of the first European Service Module (ESM) to NASA’s Kennedy Space Centre, Florida, on November 16th. The ESM is responsible for providing Orion with air, water, power and space propulsion, and so is an integral part of the vehicle. Over the next two months it will be integrated with the Crew Module Adapter that sits between the ESM and Orion. This work will also include installing various critical systems required for navigation, and will be followed by a period of comprehensive vacuum leak tests and electrical relay tests. 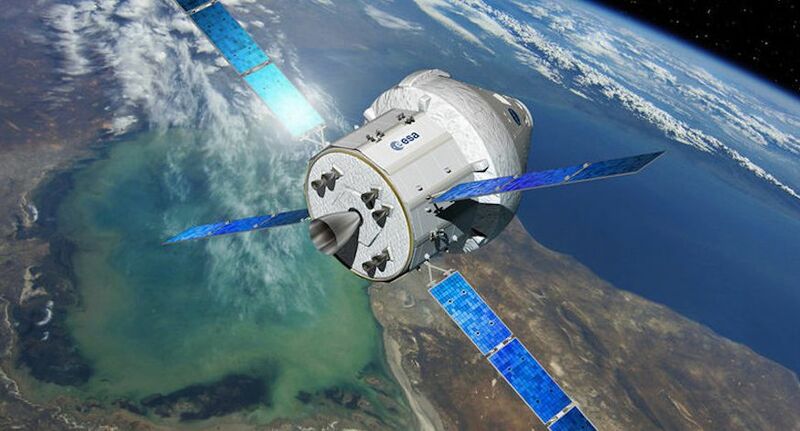 Then, if all goes according to plan, the ESM will be mated to an Orion capsule in May 2019, and both will be subjected to extensive joint testing in the lead-up to the uncrewed flight around the Moon, currently scheduled for mid-2020. A long-time stated goal by SpaceX had been to try to make the Falcon 9 booster fully reusable. As we’ve all seen on numerous occasions, the first stage can already make a return to Earth and a safe landing, and the company is also working on recovering the fairings used to protect payloads during the ascent through the Earth’s atmosphere. 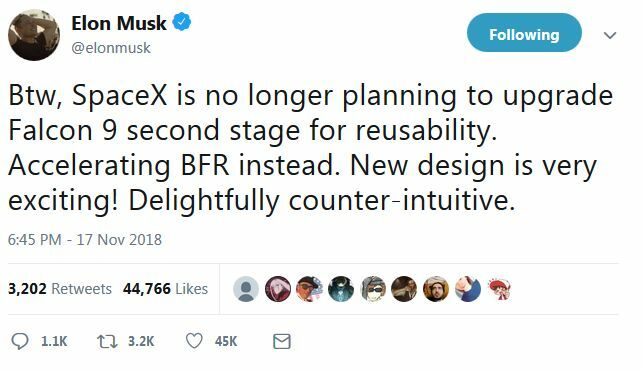 However, in a tweet on November 17th, 2018, Musk revealed the company will no longer be working to make the Falcon 9 upper stage reusable, and the company will instead focus on the Big Falcon Rocket (BFR). 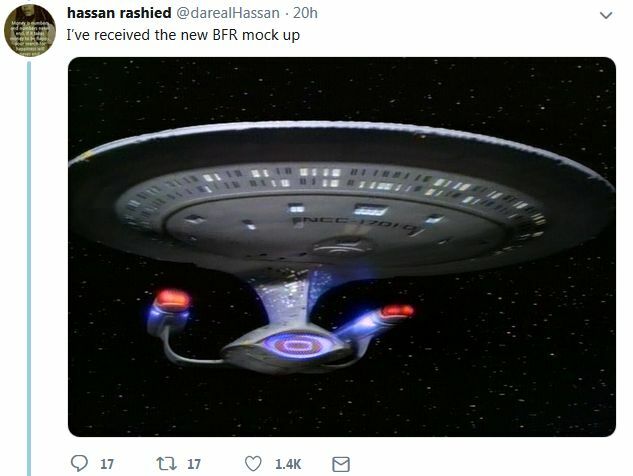 Asked if the comment on the “new design” was in reference to the BFS redesign Musk unveiled in September (see here for more), Musk responded, “Radical change”, although he would not go into further details. However, his lack of further comment did not prevent others from having a little fun. India is a nation with significant space aspirations. 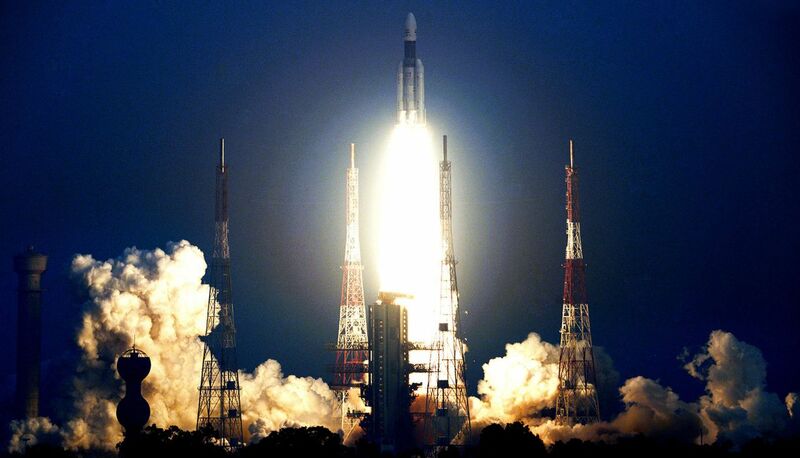 The country already sits within a select group in sending a robot vehicles to Mars, and on November 14th, 2018, the Indian Space Research Organisation (ISRO) successfully launched its Geosynchronous Satellite Launch Vehicle Mark III (GSLV Mk III) for the second time, successfully delivering the GSAT-29 communications satellite into orbit. GSLV Mk III is India’s most powerful launch vehicle to date, and is primarily designed to lift payloads of up to 4 tonnes geosynchronous transfer orbit. This compares to Russia’s Proton M with a 6 tonne GTO capability and SpaceX’s Falcon 9 with a 5.5-8.3 tonnes GTO ability. However, as with all launch vehicles, GSLV Mk III can handle a range of mission types, including crewed launches – in 2014, the first sub-orbital flight of the rocket included a prototype of a space capsule that is being designed to carry three astronauts into space. The November 14th, 2018 launch marked the second orbital flight test for GSLV Mk III, the first having occurred – with equal success – in June 2017. The next use of the vehicle will be in January 2019, when it will be used to send the robotic Chandrayaan-2 mission to the Moon.